I’ve always been fascinated by technology; less so about having to build it myself and more so about figuring out how it solves real challenges for the business. In the past 10 years, cloud computing has become an all-encompassing focus for me--since cloud-years are like dog-years, that’s more like 70 years. I got my head stuck in the clouds during Amazon Web Services’ infancy as an early employee at RightScale, a leading Cloud Management Platform, and I was fortunate in my timing and proximity to cloud computing luminaries. Since then I’ve made it my goal to not just understand the nuts and bolts technology, but to figure out its most transformative uses. I’ve personally helped hundreds of IT organizations with their digital transformation and cloud journeys; assisting them in breaking down cultural barriers, adopting new tools, and managing their infrastructure investments across public and private cloud and container platforms. The opportunities I’ve had to speak with startups, enterprises, service providers, cloud and software vendors, about the positive and negative impacts that “cloud” has had on their business has left me with a deep understanding of how hard but worthwhile this type of disruptive adoption can be. I have found great personal satisfaction in helping others successfully navigate and manage those disruptions. I’m joining Bitnami to help them establish new foundations for success in the Enterprise with Stacksmith, an opportunity that affords me great personal and professional growth. 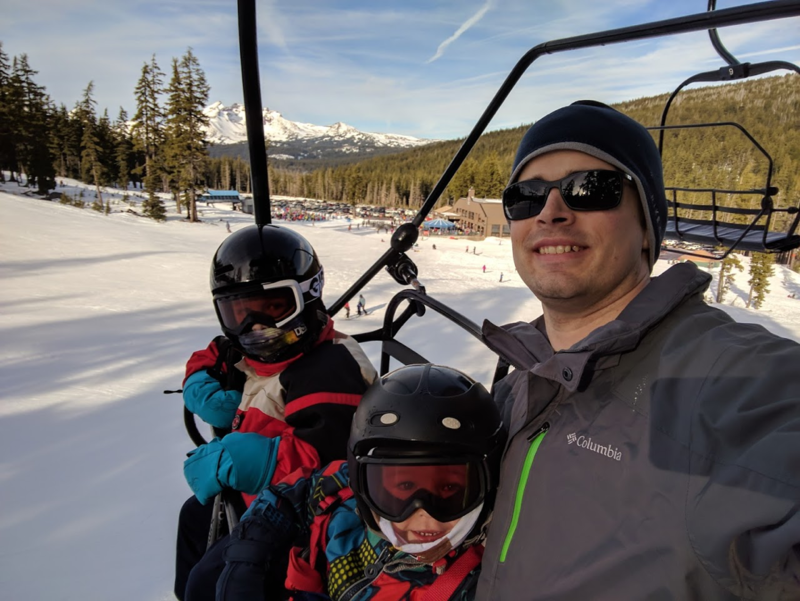 I’m also a huge fan of remote working and call the beautiful city of Bend, Oregon my home and office--I call myself a “Cloudie.” To me, cloud computing has forever shifted the landscape of remote work. I’m very happy to be a part of a team with a solid remote culture, that values knowledge and talent wherever in the world it’s found. Initially I was most excited to join the team and work with their founders. I had been following Bitnami for many years as they moved from local installers, to cloud images, to multi-tier orchestration, to containers. I watched Erica and Daniel place certain bets and avoid others in a rapidly changing landscape. They face disruption with eyes wide open, even if that means some disruption to their own business. They never seemed content to rest on their laurels, even if those laurels have helped them build a well-funded and profitable company. I valued the opportunity to work with them and within a comfortable, friendly sister-culture to RightScale. But now, HOLY CRAP is there a lot more to get excited about at Bitnami! Stacksmith, my Bitnami baby, is not just a simple tool that builds images for clouds and containers; it’s fundamentally redefining what an “application package” is and should contain--images, services and deployment instructions. It’s next and final step in a DevOps transformation, providing line of business and application owners (Dev) control over their application updates and versioning, while still deferring the best practices and corporate standards for their architecture to IT (Ops). Somehow (hit me up for a demo and I’ll show you) it manages to do this with an accessible approach that resonates with one of Bitnami’s core values, Value Simplicity. It meets people where they are in their cloud maturity and integrates with a broad landscape of popular tooling and practices. Being able to show how impactful this can be in 10 minutes or less is super exciting. Hearing someone tell me we’ve positively changed their entire philosophical outlook on how applications should be packaged and moved through the pipeline in 30 minutes or less is mind-blowing. After participating in my first Bitnami Global All Hands in Sevilla, Spain, I left that whirlwind week thoroughly impressed with the caliber of people that Bitnami hires. It was clear to me that it was a passion for cloud and container technology and more so the passion to help others succeed with it, that was the thread that bound this, ridiculously smart, highly distributed and multi-cultural team together. Whether it’s implementing tools to help users find a support doc before they knew they needed it or offering to help their new Head of Customer Success figure out how to set up a minikube cluster and use Helm charts, this team is ready to MAKE IT SO. Everything Stacksmith! Applications are eating the world and Stacksmith packages them. To find out more, you’re just going to have to talk to me. I enjoy spending time with my wife and two young boys no matter what we’re doing. I love to eat delicious food, though I’m not much of a chef myself. I really like to ski and you can often find me on Mt. Bachelor on the weekends during the wintertime (look in the trees). During the warmer months you may find me enjoying some of Bend’s fine weather on the Deschutes River or a nearby lake and the even finer beer (Bend has the highest number of breweries per capita in the USA). Interested in working with Bitnami and Matt? Apply for one of our open positions!